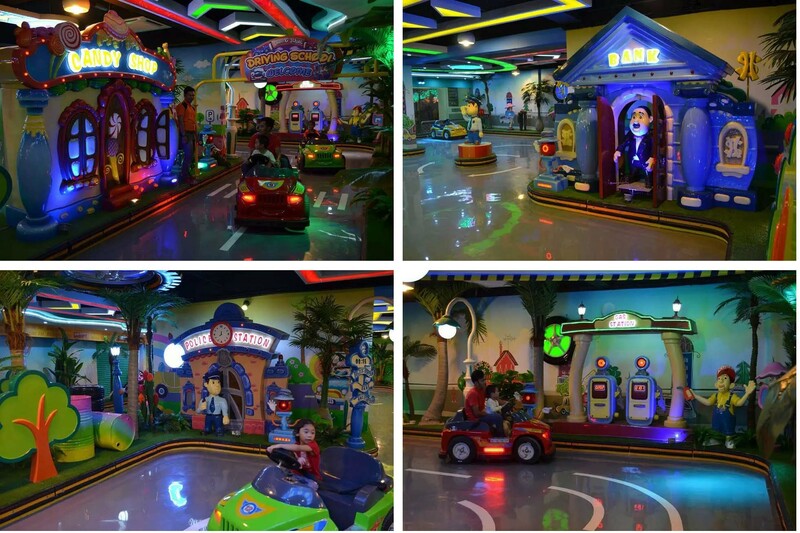 For small size children indoor playground, it is easy to plan and choose play games. However, for big children indoor playground size, like 1500 square meter or 2,000 square meters, many customers often have no idea how to plan and which kinds of indoor playground equipment are suitable. 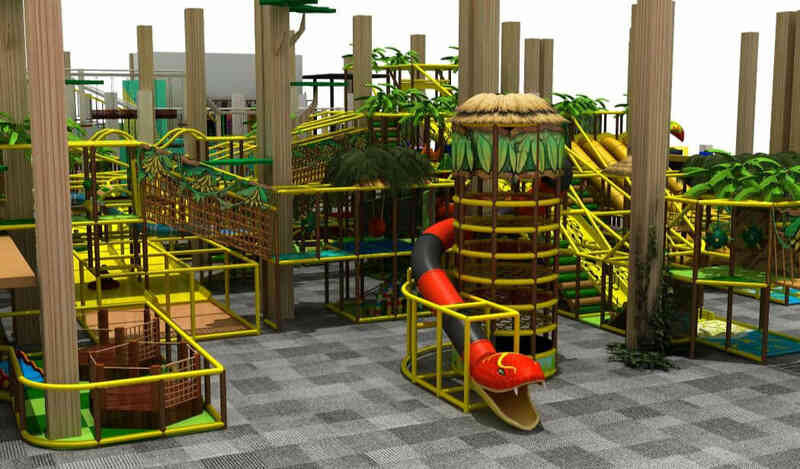 Today, we will share one indoor playground business plan sample with a 2,000 square meter size and hope it will give you some reference for your business. The whole design is forest theme, all decorations, like Lion, tiger，giraffe, will make children feel adventuring in the wild forest. All the play games stimulate children’s nature to go. They play an important role in the whole play center. It is usually a multi-level structure and there are many different obstacles in each level. Ball pool, slide, trampoline, shooting guns are classic play games. Now, Donut sliding is a new and big attraction. Children sit in the Donut boat and slide down from a high platform. It is usually two level or 3 level structure play game. Children will go through different kinds of obstacles while wearing safety hats and belts. All of these games are very challenging and suitable for children 10 years old above. Based on different age group, we design two kinds of climbing wall for children. For children below 7 years old, it is a soft wall made of wood, sponge and PVC leather. There are various animals and flowers on the soft wall, so it is very attractive to children no matter from images and colors. We adopt a fiberglass climbing wall for children 7-year-old above. Designs are so special that children rush to experience. They are usually 4 Meters or above high. The popular and unique attraction for your playground. Various colors, more crawl tubes, beehive tower, swing balls, all of them forms a charming play game. It is a must game for big children indoor playground. Usually, it will plan about 500 square meters and the minimum height required is 4 Meters. 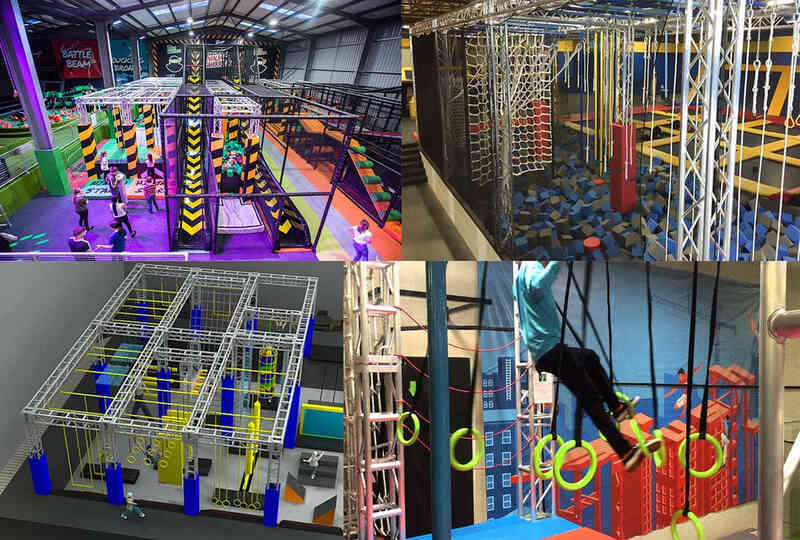 There are a free jumping area, professional jumping area, slam dunk zone, dodgeball zone, foam pool, climbing wall and many other play zones. 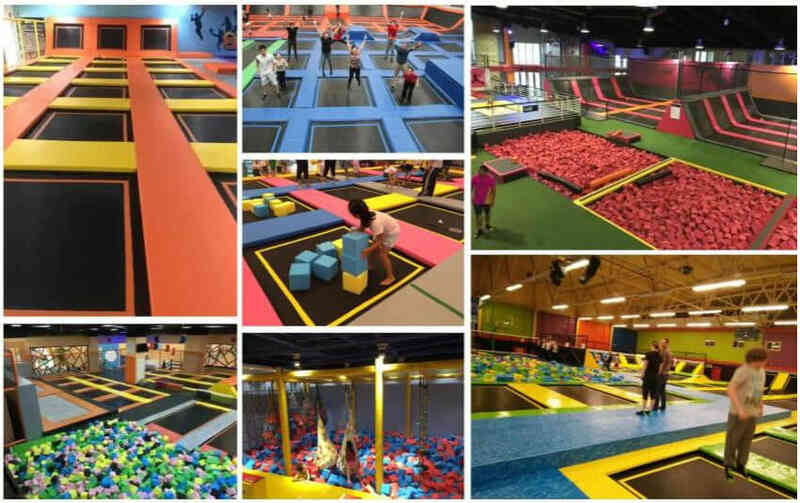 It is also a trend to combine projector game with trampoline, which adds more fun and excitement to a trampoline park. Comparing with the rope course, children no need to wear safety hats and belt. Therefore, they can freely and quickly go through between games. Actually, parents do not worry about safety at all, because there is a foam pool under all play games. 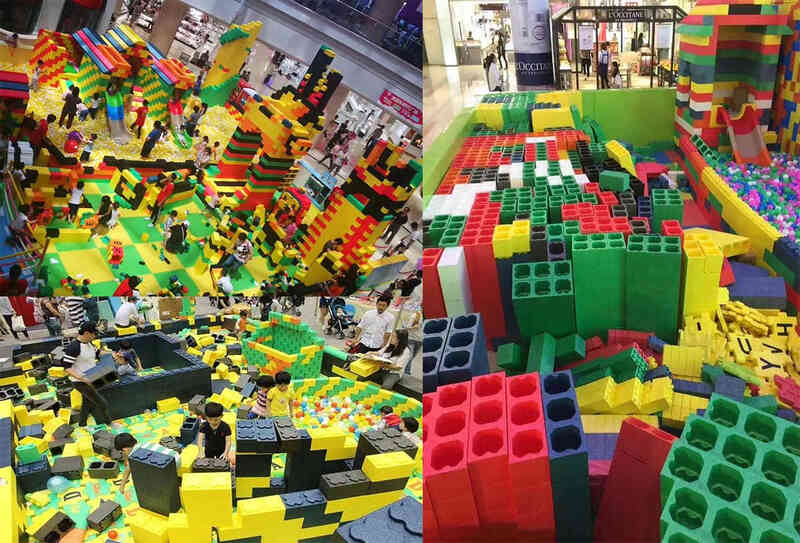 Even children fall down, they will be surrounded by many pieces of colorful foams and enjoy the fun. Single bridge, dangling tire obstacles, balance beams, swing stakes are common to see in the Ninja Course. It is a mini traffic center where there is traffic police, road sign, traffic light，gas station and tunnels. Children will drive the car obeying the rules. In this play area, children will learn social rules and experience adult life, it is a very good way to early education. In the sand pit, children will play bucket, spade, and other sand toys, like they are at the seaside. If it matches with projector game, children will experience more real and interactive fun. It is newly environmental material and favored by children because of its various cartoon characters and different shapes, round, square and so on. It will be a spotlight in your play center. Role play zone is very popular among toddlers. There are supermarket, hospital, kitchen, restaurant and other role playhouses in daily life. In each house, there are matching toys, like food, ATM, Coffee, echometer, children will act like their parents. During the process, children will know how to sell, how to buy, cook food and withdraw money. 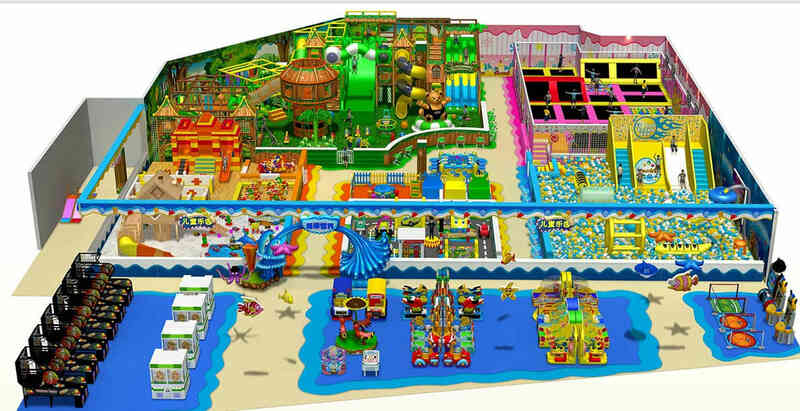 In general, the above games are suitable for big indoor playground business plan sample. At the same time, new games are renewing often. We need to keep updated so that we can attract more and more children. This entry was posted in blog, wonka community and tagged indoor playground business, indoor playground equipment. 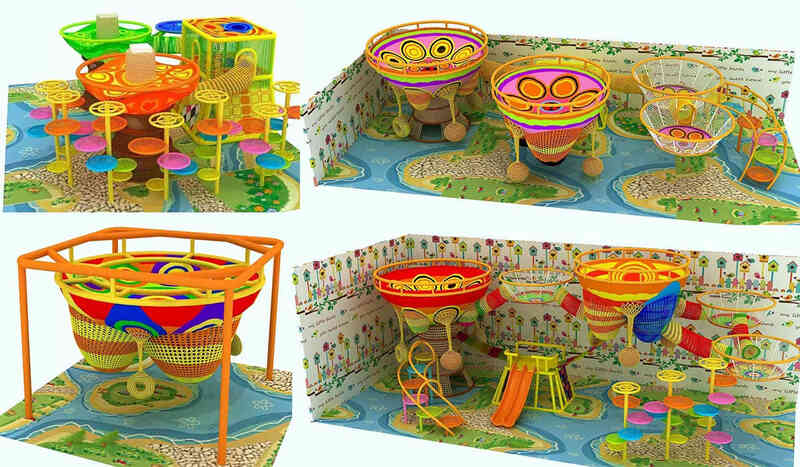 Do u have concepts/business plan samples for small scale children indoor playground?